← Touches of Christmas | Merry Christmas Eve! 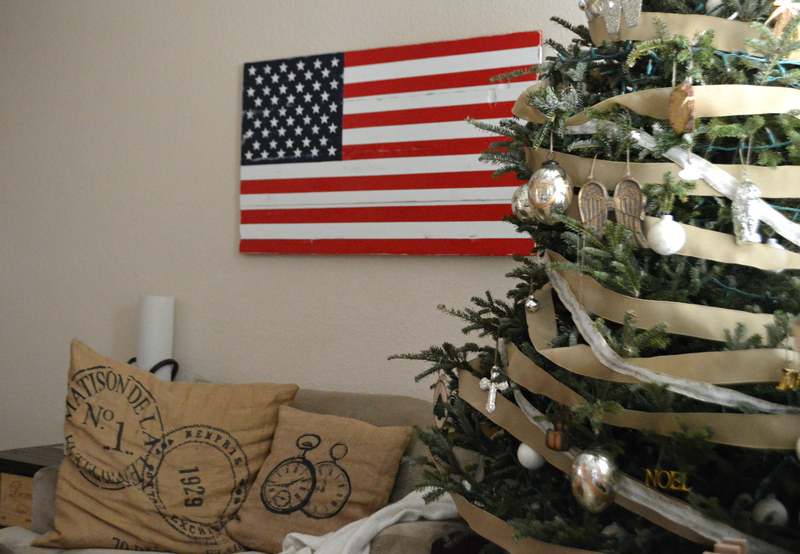 Remember last week when I shared this wall in our touches of Christmas decor post? 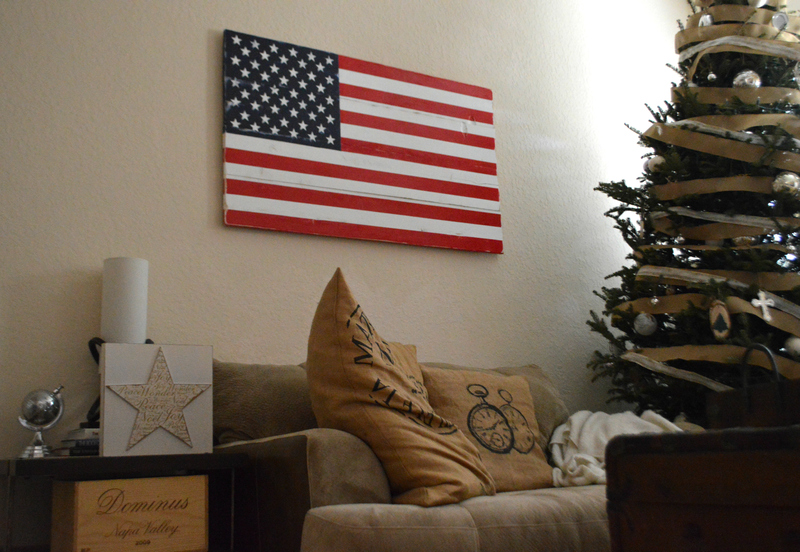 I realized two things after reviewing those photos; #1 – I neglected to take any pictures of our tree during the day (you’re welcome – now that Christmas is over), and #2 – that painting was way too large for that teeny tiny love seat! And even though I have plans for that large, empty wall – I couldn’t take how lost the painting looked. We’re hesitant to put too many holes in a home we do not own, but in order to make a house a home – there are some things you can do to make it feel less like a rental. Do you remember this little gem I posted on Instagram, uhh 16 weeks ago? 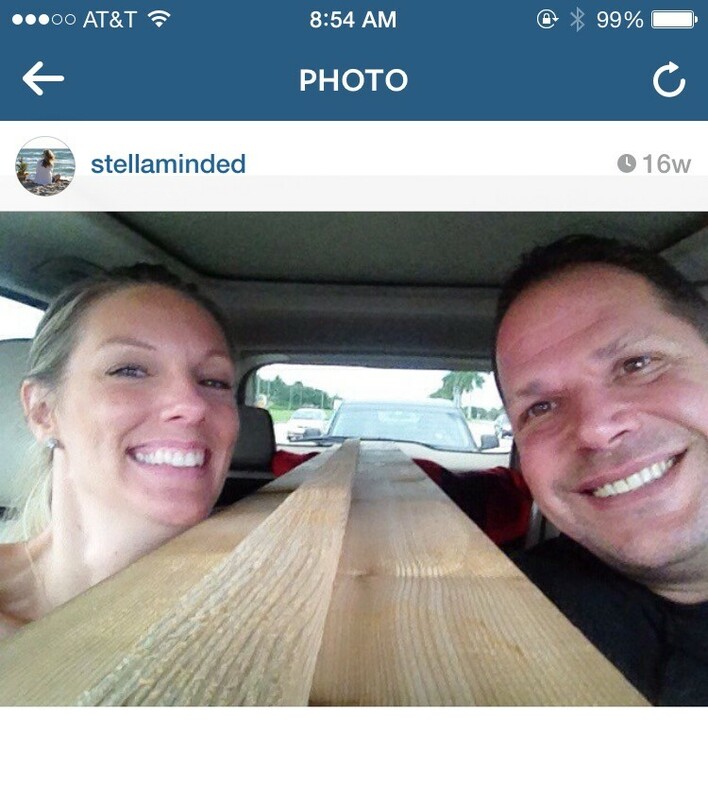 Thank you IG for reminding me just how long ago I began this little DIY project. 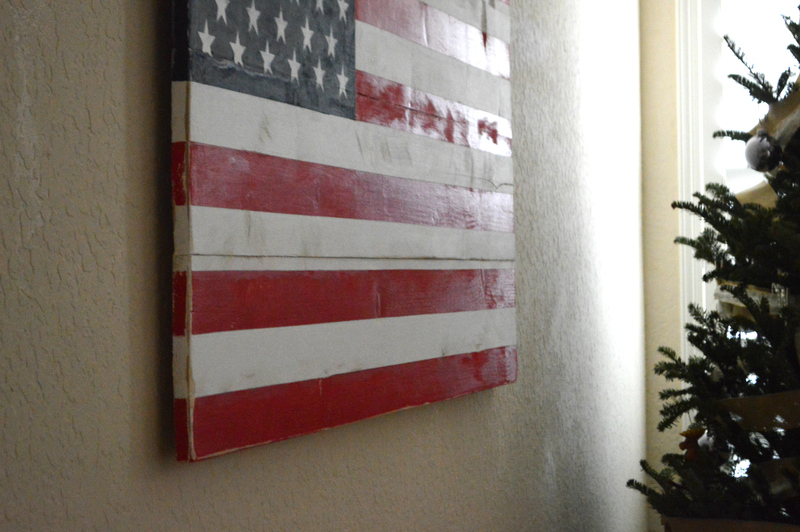 My better half has been asking me to paint him an American flag for ages! It’s not very often that I actually set aside the time to make something for our home, but I’m so happy I did because I am beyond thrilled at how it came out! 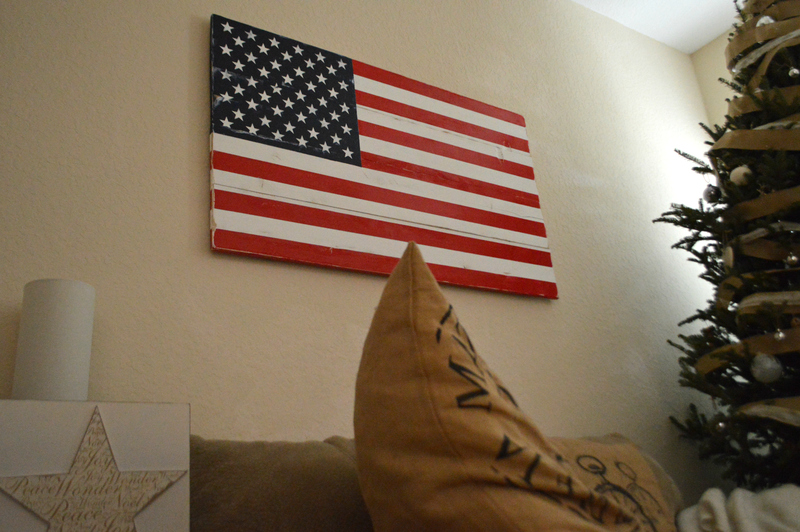 Unfortunately, I am a perfectionist, so it took extra (EXTRA) long to finish (I did the stars over three times – EEEK! ), but I’m so pleased with the finished product. It’s actually a lot larger in person (it’s 48″ long and 28″ wide), and we used cedar wood boards which is my most FAVORITE type of wood. Cedar wood is rather pricey, but it gives it just the perfect amount of rustic charm without having to paint a base layer of stain beneath the paint as it’s already a dark type of wood. 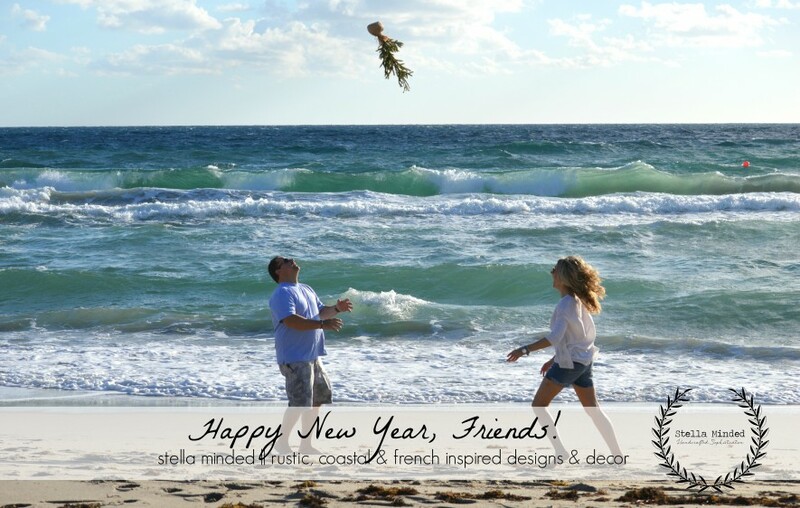 Because we live on the coast of Florida, I always attempt to combine coastal elements with our rustic decor. 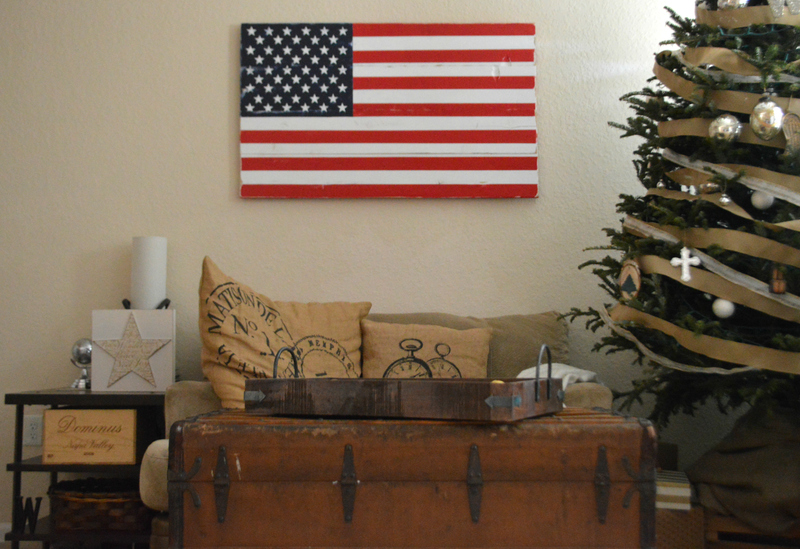 What do you think of our planked wood flag? Thanks for stopping by our neck of the woods beach!